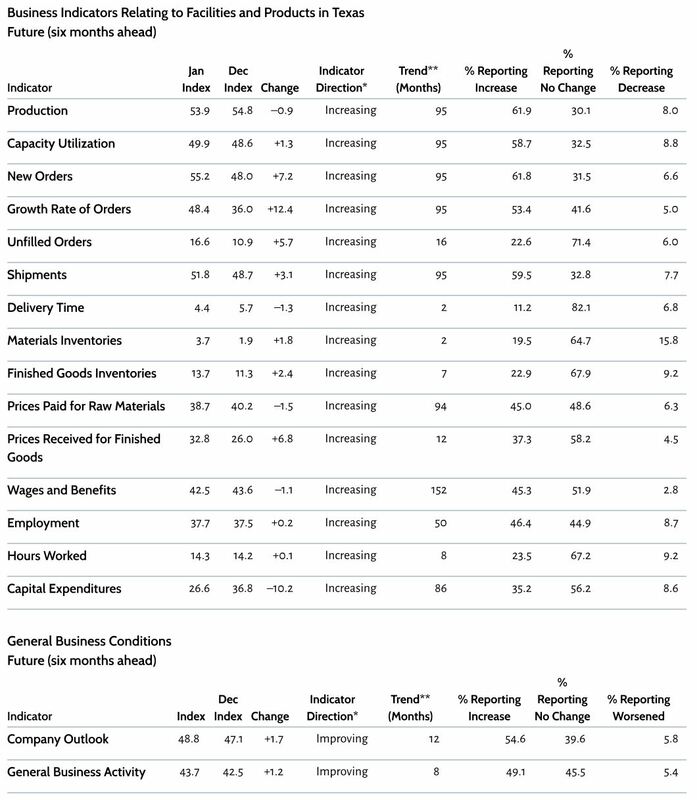 There are two new reports on the U.S. economy worth mentioning this morning. First, data from the Department of Commerce showed that personal income for Americans rose by 0.3 percent in December, worse that the 0.4 percent increase economists had anticipated and one of the smallest monthly gains of 2016. Over the past twelve months, personal income lifted by just 3.5 percent, the weakest reading on annual growth since August. 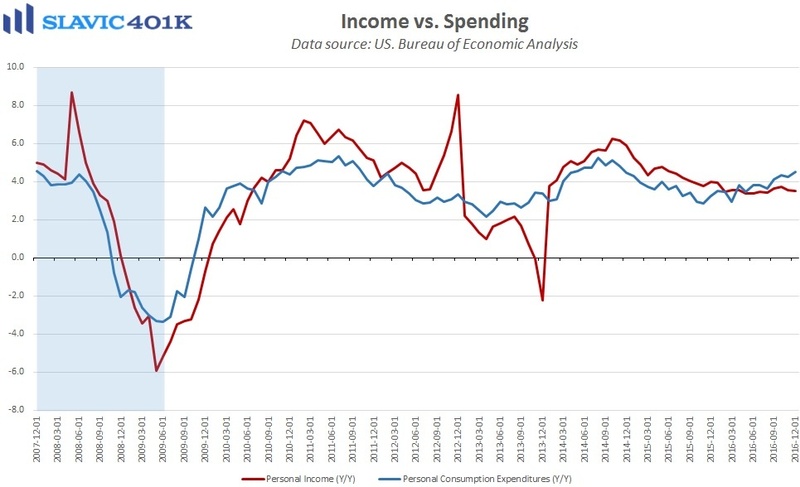 Despite the disappointing wage gains, personal consumption expenditures (PCE), i.e. 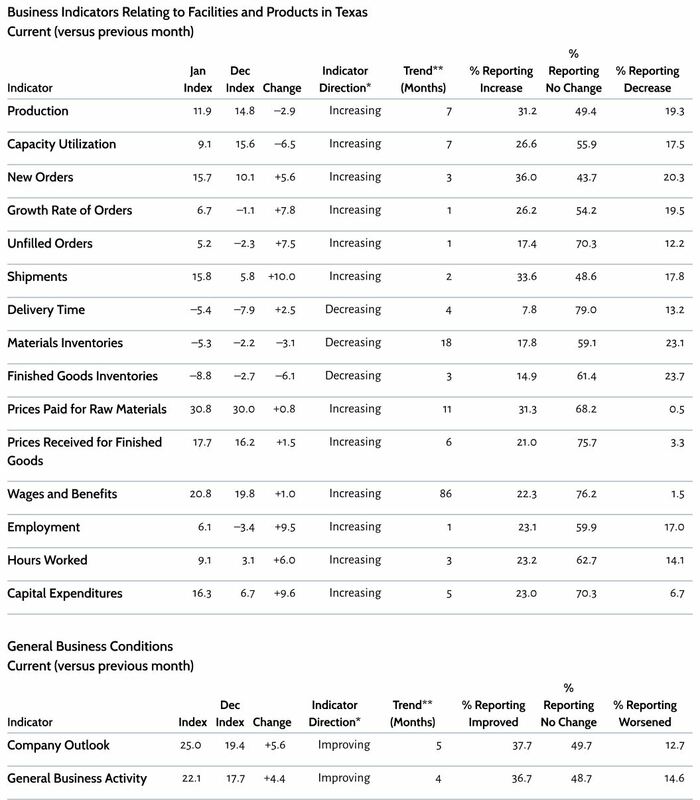 consumer spending, rose by 0.5 percent in December. 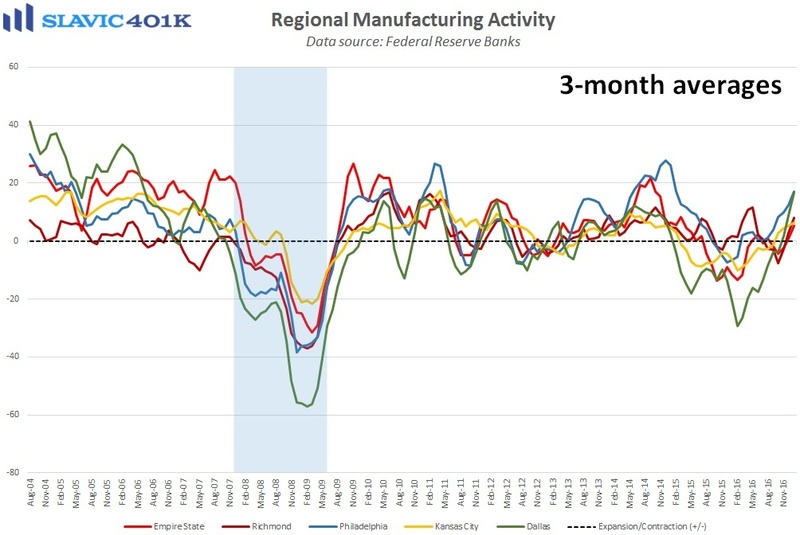 That was in line with expectations and the best month for growth since September. 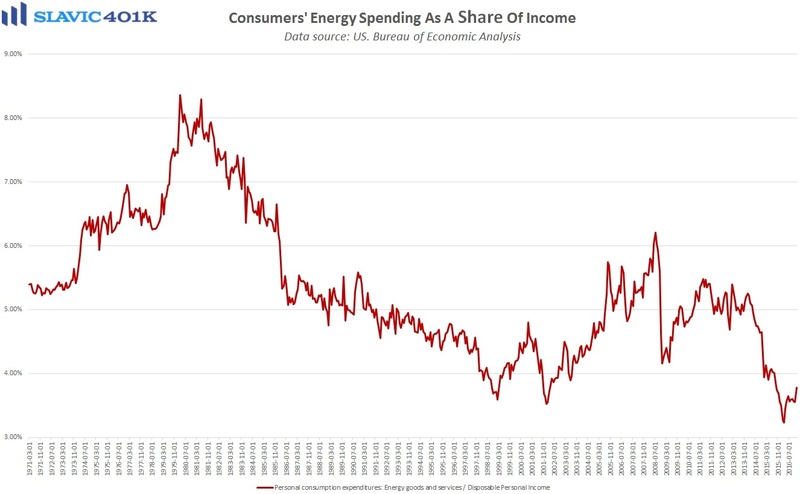 Moreover, consumer spending, which accounts for roughly 70 percent of the U.S. economy (GDP), increased by 4.5 percent in 2016, the fastest pace of annual growth recorded since November 2014. 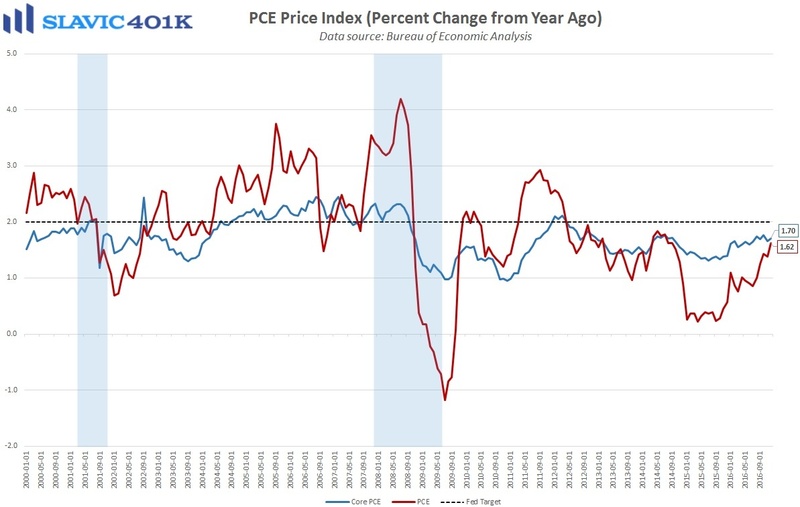 Also included within this report are the PCE price indices, the Federal Reserve’s preferred measures of inflation. 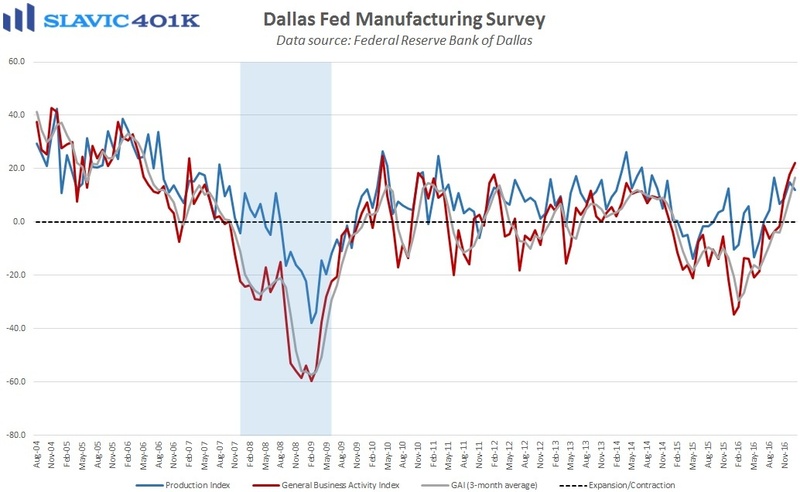 Annual growth in the core index rebounded slightly in December, while the headline index jumped to the highest reading since August 2014. 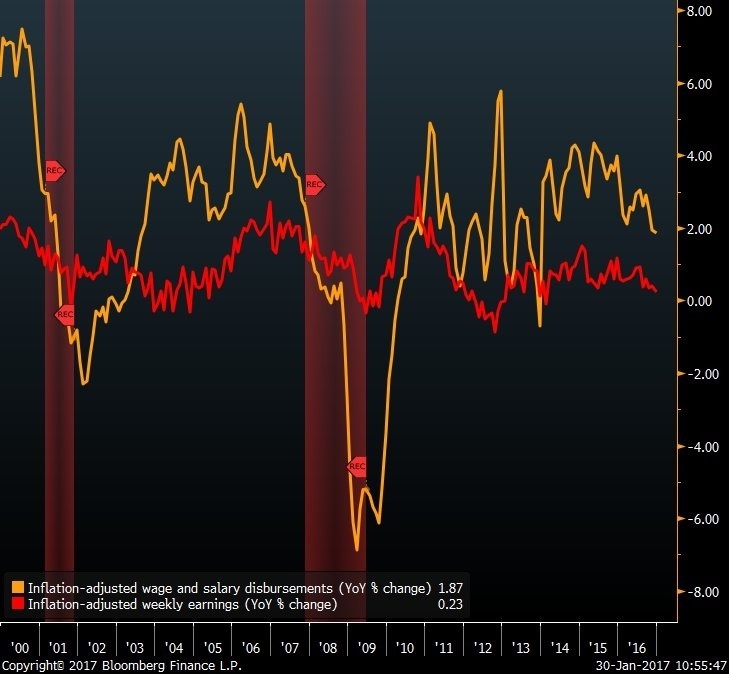 Although both metrics remain below officials' 2.0 percent “target,” the clear uptrend in inflation should make it easier for policymakers to justify additional interest rate hikes in 2017.